Popular singer, Davido and his girlfriend, Chioma, whom he is really crazy about since they started dating were pictured, all loved up while chilling in London as they stepped out for date night. An alleged Hausa ritualist was nabbed recently after he kidnapped a young girl for ritual purpose. The incident was said to have occurred in the Northern part of Nigeria. A picture of two cute little kids is making rounds online as it showed the beautiful moment a little boy took his valentine gift to his friend and the joy on her face was out of this world. A prophet has been arrested by police for allegedly defiling a 10-year-old boy in Asaba, Delta state capital. The suspect identified as Dr. Prophet Chinonso Udemezue, a senior pastor with ‘The Chosen One To Rule Ministry’ prophesied that the little boy, Oluchukwu will be kidnapped. The Chief Security Officer (CSO) to the notorious kidnapper, Johnson Igwedibia, AKA Don Wanny, has been shot dead by operatives of the Department of State Services (DSS). A man identified as Ifeanyi Ede has been arraigned in court for allegedly setting his girlfriend’s houe ablaze in Abuja. A suspected burglar broke into a computer firm in Lagos and looted all their computers. The moment was captured by the CCTV camera in the office surrounding. It was a gory sight for residents of No. 6, Soyinka Street, Bariga in Shomolu Local Government Area of Lagos State yesterday when three children, including a five-month old baby were trapped in a fire outbreak. The baby however died in the inferno that engulfed their home. A Yoruba guy, Taiye just may have given Igbo guys a run for their money after he looked so perfect in IsiAgu, the popular cultural Igbo attire men usually use for traditional marriage ceremonies. Motherhood is always a thing of joy and there’s blessing and joy for every mother who watches their child grow everyday. queen Ajoke, last wife to Alaafin of Oyo has more than enough things to be grateful in this season of love. Following the death of Young Ghanaian singer Ebony Reigns, Many Ghanaian Celebrities have reacted to the sad news. Nollywood Actress, Tonto Dikeh shared some cute photos of herself and her son King Andre who turned one and she also passed a motivational message with it. The mum of one, however, had one part of the post causing some sort of debate as it felt personal. Things men do for love…. So a yet to be identified Nigerian man was disgraced after he was caught stealing a N4000 perfume in a supermarket on Valentine’s Day. Ex-husband of Tonto Dikeh ,Olakunle Churchill took to his Instagram page to celebrate Actress Rosy Meurer on her birthday today. Recall that she was accused by Tonto Dikeh of being responsible for her marriage crisis with her husband, Churchill Olakunle. At least 17 people were dead after a 19-year-old man opened fire at Marjory Stoneman Douglas High School in Parkland, Florida, on Wednesday afternoon, officials said.Fourteen others were wounded, five of whom had life-threatening injuries Wednesday night, hospital officials said. The remains of a nine-year-old girl who disappeared in the French Alps last August has been found andNordahl Lelandais. A 34-year old former soldier, has admitted killing Maëlys de Araujo "involuntarily". 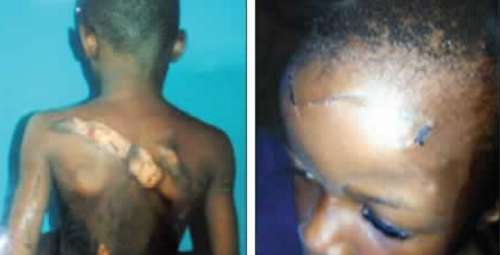 A 12-year-old girl, Faith Nwanja has been rescued by the Ebonyi State Ministry of Women Affairs and Social Development from her mistress who allegedly tortured, mutilated and abandoned her. Zari Hassan Ends Relationship With Diamond Platnumz. Sad news hit Tanzanian media on Valentine’s day – following years of staying together, entrepreneur, Zari Hassan announced that she and Tanzanian Singer, Diamond Plantumz have called it quits. A Chinese man identified as Finn has accused the Nigerian Customs officers of illegally detaining and assaulting him. According to him, the incident took place on February 9th at Mobolaji Bank Anthony, Ikeja. The Federal Road Safety Commission (FRSC), Officers, Ilesa Unit, has donated blood to improve health delivery schemes as well as to save accident victims. In the spirit of St. Valentine’s day, the special day to celebrate love and loved ones, many couples have been re-affirming their love for their partners and one of Nigeria’s favourite couples, The Idibias are not left out. Billionaire, Femi Otedola Shares Lovely Valentine Day Photo With His Wife. For those of you who may not know, Billionaire Nigerian businessman,Femi Otedola is now on Instagram and he appears to be enjoying the social media platform.In spirit of Valentine, the billionaire took to the platform to share a lovely photo of himself with his wife, while captioning it with a love emoji. An armed robber was caught red-handed during a robbery operation in Sapele area of Delta state did the unthinkable after deciding to defecate in his victim’s house.According to reports, the robbed compound had been under series of attacks by hoodlums who steal properties and other valuables before the capture of the suspect. Denrele paid a visit to singer, Goldie’s graveside today in commemoration of her 5th year rememberance. Denrele in his tribute said he has come to terms with her death. The life of a superstar you know, can be interesting most times… many have been left to wonder whether or not Nigerian susperstar,Wizkid, has snatched someone’s girlfriend from him after he shared a photo on Twitter with an interesting tag. The singer took to the microblogging platform to share a photo of himself chilling in a recording studio with a lady by his side whose face is fully covered with her wig – he tags the lady as “your girl”. The National Chairman of the Peoples Democratic Party (PDP), Prince Uche Secondus, yesterday, said his party would stop killings, poverty and hunger in the country if it returned to the Presidency in 2019. 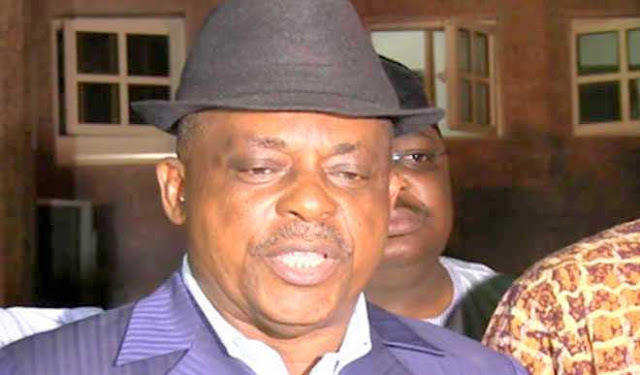 Secondus, who led members of his National Working Committee (NWC), to witness a mega rally in Yenagoa, Bayelsa State, to mark the 6th anniversary of Governor Seriake Dickson administration, said the brooms of the All Progressives Party (APC) brought killings and vengeance to the country. A 10-year-old girl, Vera, and her younger sister, Favour, five, are grappling with injuries inflicted on them by their stepmother. The woman, Chidima Nnachi, reportedly beat up Vera, rubbed pepper on her eyes and burned her back with a hot knife. She also reportedly injured Favour on the forehead and inserted pepper in her eyes for allegedly soiling her body. According to Economics, human wants are insatiable, and here is an evidence of that statement. Valentine’s day turned out to be sour for a young Nigerian man who in a bid to pay his girlfriend a surprise visit at her house in Warri, met the young lady with a her Lebanese sugar daddy. One of actress Tonto Dikeh‘s ex-boyfriend, popular diamond jeweler, Malivelihood yesterday treated his woman, Deola Smart, to extravagant Valentine’s Day gifts which is almost every girl’s wish. Malivelihood (real name, Michael Awolaja) who is known to go all out for his lover got Deola a new home alongside a new car and several cakes. Sunday Oliseh who was yesterday sacked by Fortuna Sittard,has explained why he was sacked. 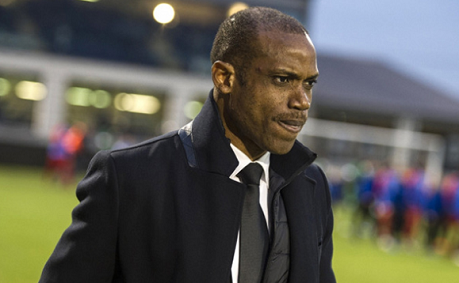 Oliseh took to Twitter to say he was sacked because of his refusal to participate in the club's illegal activities. 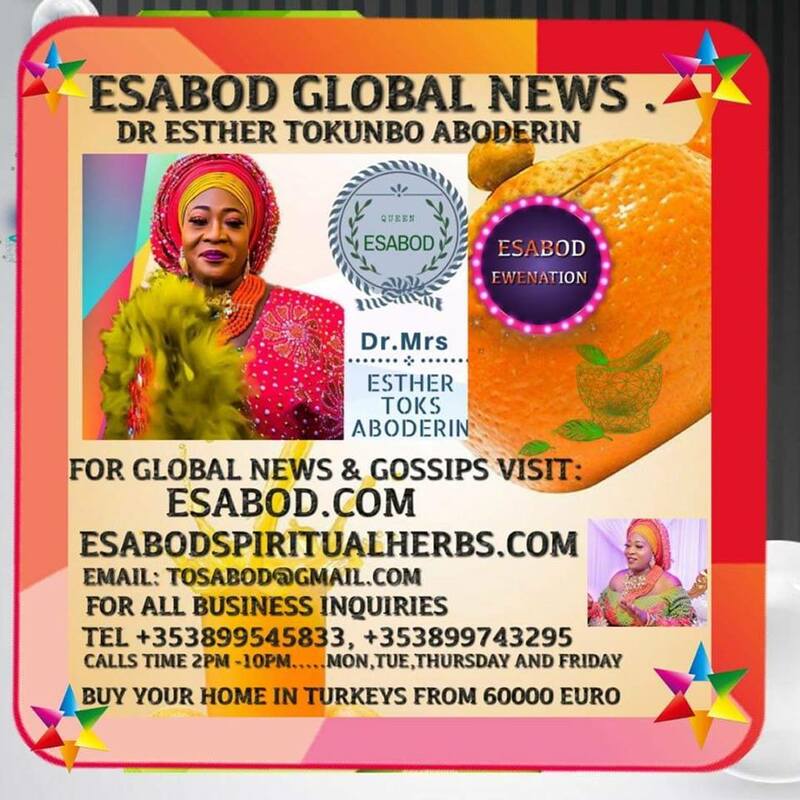 Nollywood actress, Foluke Daramola-Salako attains a new age today, February 15 and to celebrate, the lovely released stunning photos. The actress turns 40 today and the age really looks good on her – she’s all smiles in her birthday shoot as she dons a traditional wear. Awww! A Nigerian man named Prince Roland Dosunmuis currently trending on social media after his over the top romantic gesture. He took to twitter to reveal that he traveled by road from Lagos to Kogi to propose to his girlfriend today February 14th, 2018. He says his fiancee-to-be isn’t still aware of his intention as the said proposal is to take place tonight, and with the help of her friends, he hopes to make it ‘perfect’. A Nigerian lady named Cynthia has revealed how she met her husband on a bus while traveling to the country’s capital,Abuja. Gunmen suspected to be armed robbers have killed two students of the Federal University, Lafia. One of the students killed had graduated with first class from the economics department and was processing his final clearance while the other was in 400 level, English Department. Nigerian Singer, BankyW in an Insta-live video on Instagram answered some questions on the rare strain of skin cancer tumors found in his shoulder surgery removal he did last year. The singer said his still in a little bit of pain but from his recent test result his in the clear and better.